The Papago GoSafe S810 camera duo has more “safety” features than you can shake a stick at, including one I’d never even considered—stop sign recognition. Yup. It recognizes stop signs and pops the digital equivalent up on its display. Kind of fun, but as I’m wont to say: If you need this stuff, call a cab or wait for self-driving vehicles. Admonishment aside, the $170 S810 is more than just fancy features. It takes very, very good day and night video, and the rear camera, unlike some we’ve seen recently, actually captures enough detail to be useful. Alas, there’s no battery, and the supercapacitor runs the camera only long enough to save a file, not to take a few more seconds of video. If your 12-volt is disrupted in the initial impact of an accident, this means you won’t capture the entire incident. This review is part of our ongoing roundup of the best dash cams. Go there for our top picks and how-to-buy advice. Like a number of other cameras out there, the S810 looks like a slightly small “happy-snap” consumer digital camera, from the era before cell phones usurped that role. A nicely streamlined one, but that’s the shape, as you can see below. The unit features a nice, bright 2.4-inch display. The usual four buttons to control it (return, up, down, okay) are atypically placed on the bottom of the unit. The function of the buttons at any given time is hinted at by icons on the display immediately above them. On the whole, the camera is easy to use, though there are a lot of options that might take some time to absorb. On the right side of the camera is the SD card slot, while on the left are the mini-USB power port and a mini-DisplayPort for direct video output to various display devices. On top is the port for the optional external GPS unit (available on AmazonRemove non-product link). While I prefer the GPS integrated to cut down on cable clutter (there are three cables sprouting from the unit when GPS is in play), at least this one fires up immediately. With some dash cams I’ve seen recently, you have to wait a few minutes for GPS data to appear. Notice that there are no wires in this photo. When the GoSafe 810 is fully rigged with rear camera and optional GPS, there are three wires blossoming from the unit. The S810’s front camera has a 140-degree field of view and takes images at resolutions up to 1080p. The rear, 720p camera has a 120-degree field of view. 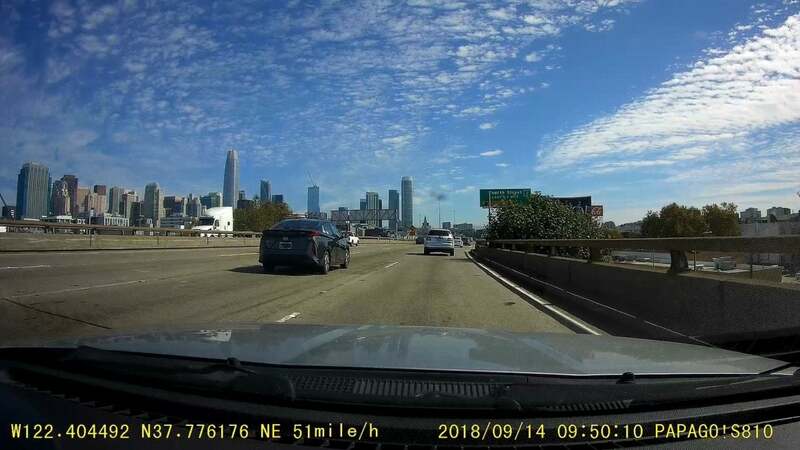 Unlike the exceedingly low-res 480p rear camera on the Apeman c550, the S810’s rear camera is actually crisp enough to capture a license plate number. I mentioned the GoSafe S810’s ability to detect stop signs. I’d like that better if it were magically able to detect those that are obscured. Because it’s optical recognition, it’s not going to find any you couldn’t see yourself. Sigh. The camera will also alert you if you’re sitting like an idiot at a green light, tell you that you’re lights aren’t on in a dark environment, and monitor tire pressures with the optional TireSafe D10. You do a visual on your tires every time you drive, right? It’s all clever, and possibly handy for some. When it comes to video, the GoSafe S810 pretty much nails it. Day video is sharp, image stabilization is good, and the color saturation is very nice. 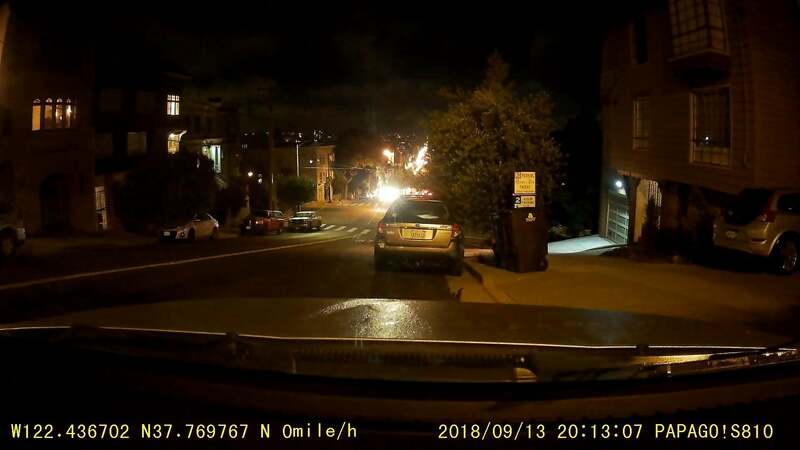 Low-light video is accurate and shows enough detail to capture license plate numbers without a lot of post-processing. Headlight flare in night video was a little harsher than I’d like to see, but nothing to worry about. I could go on, but why bother? It’s good enough for just about any purpose. The GoSafe S810 front camera’s day video is top-notch. It’s 1080p. The rear camera’s is similar in quality, but only 720p. Sony’s EXMOR sensors, used in the GoSafe S810, have been a boon to the night captures of dash cams since they first appeared over a year ago. This low-light capture in San Francisco is quite accurate in both hue and brightness. Nighttime driving video is similarly good, though obviously you’ll pick up more detail where the headlights shine. The GoSafe S810 runs only slightly warm to the touch, and is rated for operation from -32 degrees to +140 degrees Fahrenheit. As mentioned, the camera must be attached to a 12-volt source to operate, so there’s no battery life to comment on. I may have some quibbles with the GoSafe S810’s design and price, but the quality of the video captures and overall performance are not among them. This is the second camera I’ve reviewed recently that takes wonderful video, but doesn’t cover all the legal bases. 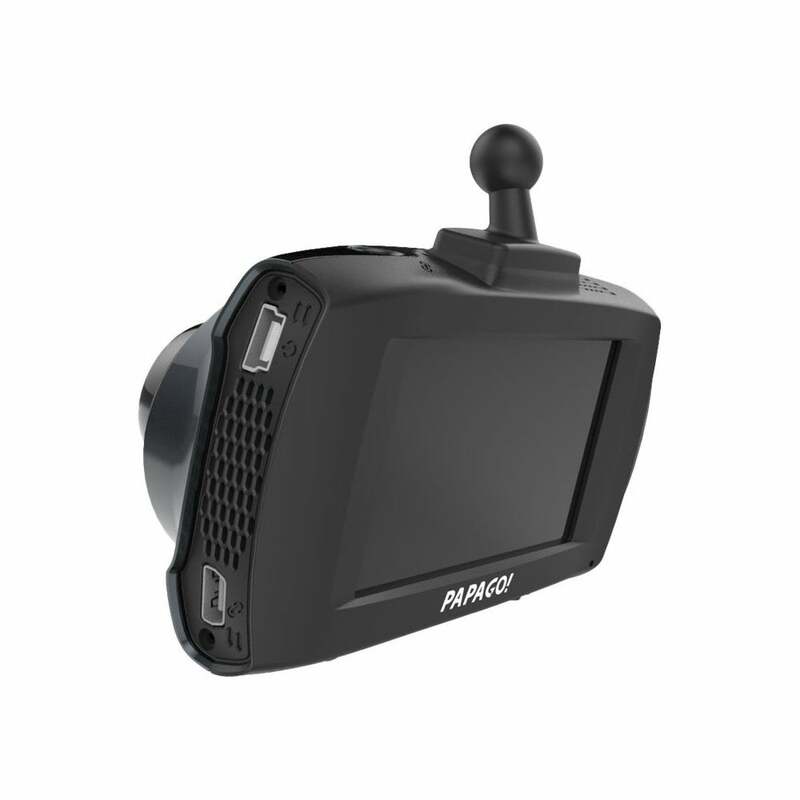 While 12-volt interruption is rare, a $170 dash cam (over $200 with GPS) should have a battery, or a supercapacitor of sufficient size to take video for at least a few seconds without external power. That makes the GoSafe S810 a wonderful camera for travelogues and warding off litigation from pedestrian con artists, but unsuitable for pros who want know that any bad event that happens will be documented.